Could the 3DS be the Wii 2? I don’t believe that there’s a chance of this happening at all, but it’s nonetheless an interesting concept I believe is worth mentioning. xpersiussa of the IGN Boards was thinking that there might not be a separate Wii 2 at all; that the Wii 2 would simply be a 3DS plugged into a TV. He backs this up by saying that the 3DS can use its graphical horsepower to render higher-quality graphics instead of a three-dimensional image. It would be turned into a “Wii 2” by means of a dock you pop the 3DS into, which connects it to your TV. After you’ve docked it, you’d use a wireless remote or controller to control the system. There are several flaws with the theory, though: for one, even though the 3DS is very powerful for a handheld, I highly doubt it has enough oomph to produce the HD visuals console gamers demand these days – when not rendering in 3D, its resolution is 400×240, compared to the 1920×1080 of a modern HDTV. It seems more like an Apple-y thing to do, but I digress. In addition to that, the home console market is worth millions and millions to Nintendo, and they would never jeopardize its existence by creating a singular handheld to replace it completely like this. Rather, I believe Nintendo will devise some kind of connectivity between the 3DS and the (separate) Wii 2, like they have done in the past (the GameBoy Advance connected to the GameCube, and the DS to the Wii) – only this time, I expect it to be better and genuinely useful. If they are talking about that thing the 3DS is connected to, they have to be extremely stupid… or living underneath a rock. That is the cradle to charge the 3DS and up the download speed. I know that’s the charging cradle. I don’t think this concept has a snowball’s chance in hell of becoming a reality at all; but I thought it was still a pretty interesting idea. The original poster on IGN was thinking of a different cradle that would be designed for connection to a TV. O no, I read what you said afterwards, but I was just stating that the original post must be living under a rock, if they think the cradle can be used that way. it’s to charge not to pass information to a tv. Also like you said they can use it, to hook up to the next Nintendo console, it will feel weird to have a handheld without a home console, from Nintendo. This is actually an awesome idea. Probably wrong but awesome anyway. They wouldn’t do that… it doesn’t make much sense from a business and profit perspective. They would lose out on the money they could have made selling two separate consoles. its very hard to guess this one with out all the data company’s like nintendo work from and there experience in this business.. but a dock at home wii 2 come walk out the door 3DS unit as one device is interesting and iv been thinking is this Nintendo’s next move !!!? but as far as the next trick innovation im stumped this time is it a hybrid or just a wii 2 and 3ds as buddys the docking station charger does kind of ease in the idea of a console dock one day replacing the charger maybe…..
Every time I read/hear something that completely ignores our current technical limitations, I’m tempted to make a Star Trek reference. Smartphone operating systems aren’t exactly computer operating systems. Try running Photoshop on them – it’s not happening. They still have a ways to go. Scientist was referring specifically to the 3DS’s limitations, which are already set. smartphones like iphone 4 could run windows xp easily stop confusing processing power with compatibility why would i do mainstream computing on a phone your point is very confusing and un-logical…. 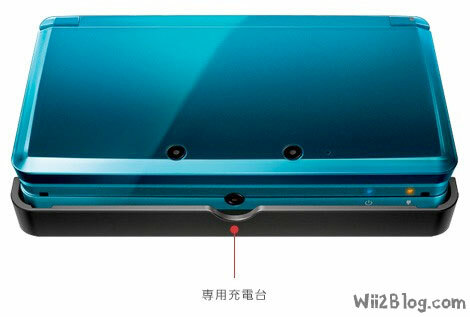 3ds leak system shows 96mb ram 32mb for OS maybe !!!!! !